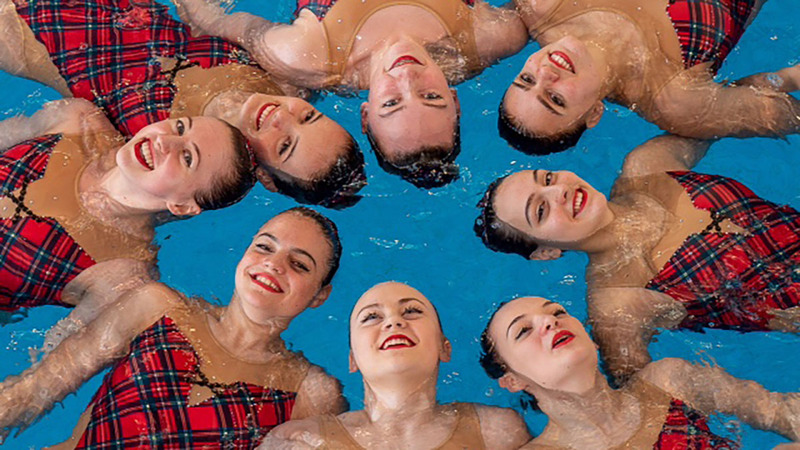 Great Britain’s synchronised swimmers have been praised for their performances at the European Junior Championships. Against tough competition, the team achieved top ten finishes in all the events they took part in at the championships in Finland. The European Junior Championships were dominated by Russia, who won nine of the 10 gold medals up for grabs. Kate Shortman and Isabelle Thorpe finished seventh in the duet technical final with a score of 79.6877, while they were eighth in the duet free after finishing on 81.5000. Watch all of Great Britain’s final performances from Finland in our video playlist below. Shortman put on an impressive performance in the solo free final, scoring 83.1667 to finish in sixth position, and she was seventh in the solo technical with a total of 82.4159. In the free combination, Shortman and Thorpe were joined by Millicent Costello, Greta Hampson, Cerys Larsen, Daniella Lloyd, Daisy Rushton, Harriette Smith, Abigail Taylor and Victoria Usher as they finished sixth with a total of 79.5667 points. Costello, Hampson, Larsen, Lloyd, Rushton, Smith, Taylor and Usher finished in ninth place in the team technical after scoring 76.5742 – and they were also ninth in the team free event with a total of 76.4667 points. Karen Thorpe, Manager England Synchro, who was with the British team in Finland, said: “I was really pleased with the performance from the squad. “The solo and duet performances received some world-class praise and results. And the team put a last-minute change due to injury behind them to receive a score of 79.5 for the combination event which was excellent. “We now have a week of home training before we head to Milan for the Junior World Championships training camp and then onto Budapest for the competition. “It will certainly be a tough competition with more than 40 countries attending but we will be aiming to make the finals and improve on our scores and rankings.